The ATTO Celerity FC-161P leverages two next-generation storage technologies – PCIe 3.0 interconnect and 16-Gigabit Fibre Channel to provide an advanced storage connectivity solution with high performance, intelligence and scalability. Celerity FC-161P 16Gb/s single-channel HBAs deliver up to 1600 MB/s in a single PCIe slot solution, allowing original equipment manufacturers and system integrators to design state-of-the-art data infrastructures. ATTO Celerity Fibre Channel host bus adapters (HBAs) deliver the fastest data throughput (both MB/s and IOPs) available for today's most demanding storage environments, including physical and virtual datacenters, tape streaming and backup, rich content delivery, and server clustering. ATTO Technology, Inc., has 30 years of experience developing and delivering reliable first-to-market Fibre Channel storage connectivity solutions to customers. Celerity Fibre Channel connectivity solutions are consistently the highest-performing host bust adapters (HBAs) for server virtualization deployments, faster backups and scalable cloud initiatives. Offering performance to match new multi-core processors and faster PCIe 3.0 server host bus architectures, the integrated family of Celerity 16Gb Gen 6 Fibre Channel HBAs boast an extensive list of customer design wins and certifications with respected industry partners. With single-, dual-, and quad-channel configurations, Celerity Fibre Channel HBAs are an ideal solution for users looking to achieve the highest I/O and data throughput for advanced video and enterprise-class IT applications. Celerity 16Gb Gen 6 HBAs offer driver support for Windows, Linux, macOS, illumos, VMware and more, providing a single connectivity solution for customers with heterogeneous operating system environments. Celerity HBAs are designed to provide fast, redundant and highly available connectivity to Fibre Channel storage and are engineered to manage latency for real-time applications. An ATTO exclusive, Advanced Data Streaming (ADS) technology provides controlled acceleration of data to deliver the most consistent performance and reliable data transfer. Specialized Fibre Channel drivers with support for multiple OS platforms and OEM-specific solutions, such as target mode and multipathing, make ATTO the premier choice for high-performance Fibre Channel storage area network (SAN) connectivity. The easy-to-use ATTO ConfigTool features an intuitive GUI that simplifies the installation, management and monitoring of the HBA. With advanced troubleshooting and performance tuning capabilities, Celerity HBAs provide users with sophisticated diagnostics and the flexibility to control settings for specific applications. Celerity Fibre Channel HBAs deliver high-performance and reliable connectivity solutions for the most demanding storage environments, including physical and virtual data centers, tape streaming and backup, rich content delivery and server clustering. Celerity HBAs enable users to achieve the ultimate in I/O performance for real-time and transactional applications. Celerity HBAs unleash the performance of all-flash data centers with the support of NVMe fabric technology for demanding workloads that require extreme performance, ultra-low latency, and storage persistency to shared storage resources. Celerity HBAs have an advantage over the leading competitor embedded directly in the processor's architecture. The ATTO controller features multiple cores, providing full IOPS performance to a single port in "active standby" mode on a dual-port HBA. If a port, cable or SFP fails a port on the ATTO adapter can support up to 2.5X as many IOPS as the competitive HBA. ATTO Celerity HBAs allow sustained maximum performance, enabling users to continue to meet service level agreements. Available in low-profile single-, dual-, and quad-port versions, ATTO Celerity HBAs are backward compatible, reducing the complexity of deploying and managing the SAN, and take full advantage of advancements for reliability and forward error correction to improve network performance and resiliency. ATTO Celerity HBAs, featuring Multipath Director technology, are the only solution that allows direct connectivity to enterprise storage not just for servers, but also Windows, Linux, and macOS workstations. They provide load balancing and path failover protection to improve overall Fibre Channel SAN efficiency with consistent uninterrupted access to your data. Move large volumes of data with fast, predicable and deterministic response time by optimizing performance up to 3200MB/s per channel. Built into every Celerity HBA, ATTO Advanced Data Streaming (ADS™) technology manages latency by providing controlled acceleration for smooth data streaming and allows you to maintain the highest consistent performance in data intensive environments. 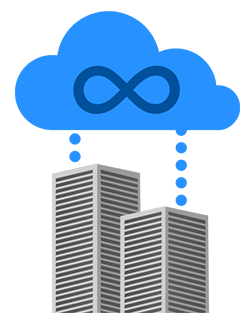 Whether you're looking for a disaster recovery solution, downtime avoidance or a higher level of availability, Celerity HBAs make it possible to have longer distances between your servers and storage. Featuring 5X more buffer credits than the competition, Celerity HBAs support more data in-flight allowing you to extend your connection to storage up to 10 km without degrading throughput. Celerity Gen 6 HBAs deliver 2x greater bandwidth when compared to previous generations. They are purpose-built to address the performance, reliability and scalability requirements of hyper-scale virtualization, SSD technology, and new data architectures. 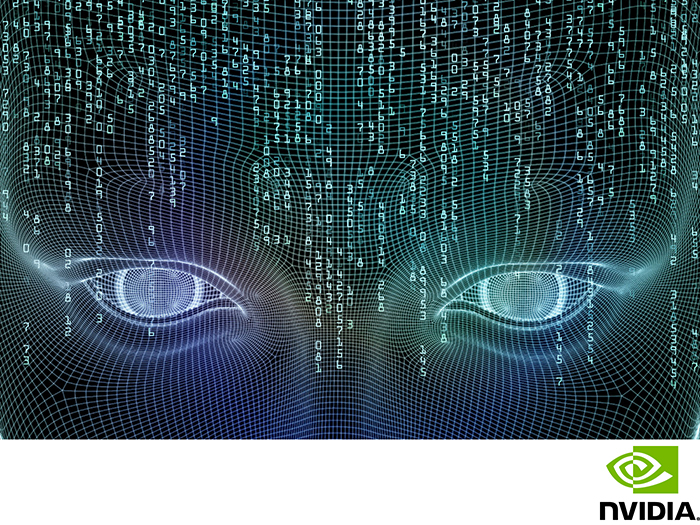 From artificial intelligence and big data analytics to augmented and virtual reality, ATTO Celerity HBAs, in partnership with NVIDIA, are accelerating GPU-based data and graphic-intensive applications while enhancing overall performance. We are constantly testing and certifying our products with third-party vendors, from OS and servers to switches and storage, to ensure the widest range of compatibility. ATTO works closely with industry leaders to ensure certified interoperability allowing you to deploy robust storage area network (SAN) infrastructures with proven best practices. Responsible for moving valuable data, the host adapter is one of the most critical components in a Fibre Channel Storage Area Network (SAN). Why trust an integral part of the network fabric architecture to an 'average' adapter? 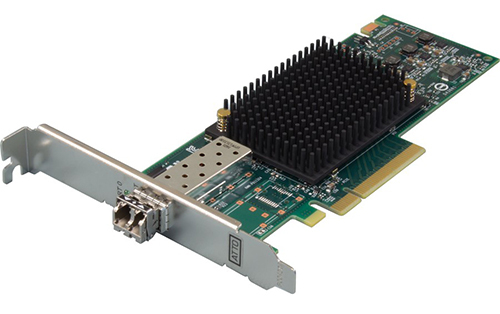 ATTO Fibre Channel host adapters are highly-intelligent data movement engines that transfer information efficiently and flawlessly using ATTO's unique, industry-leading hardware and software architecture.